Large land owners have the property, while developers have knowledge, experience, and access to capital. What are the pros and cons of various deal structure alternatives? What are the most important considerations when deciding whether to simply sell land, versus participating in deal, or perhaps even forming a joint venture? What are the potential rewards and risks associated with pursuing one strategy versus another? 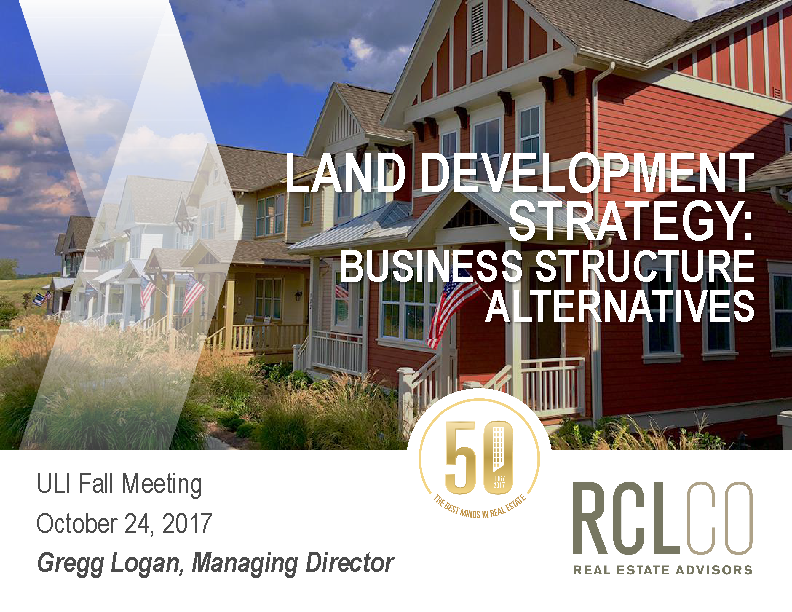 To dig into the issues and opportunities RCLCO’s Gregg Logan moderated a discussion with expert panelists and the members of ULI’s Large Land Owners Forum. Gregg has over 30-years’ experience as a strategic real estate analyst and advisor to land owners and developers, addressing these issues, and was excited about the opportunity to engage with the Forum in a discussion on this important topic.